Our Definition of Valor is the strength of mind or spirit that enables one to encounter adversity with firmness, honor & dignity. Our Mission is to provide our clients and team members with the utmost value and opportunity across targeted segments of the financial and legal marketplace. Our Purpose is to strengthen the asset growth and protection of our clients to ensure they are financially positioned, protected and empowered to accomplish their goals. We accomplish this through a synergistic suite of insurance, legal and financial solutions. 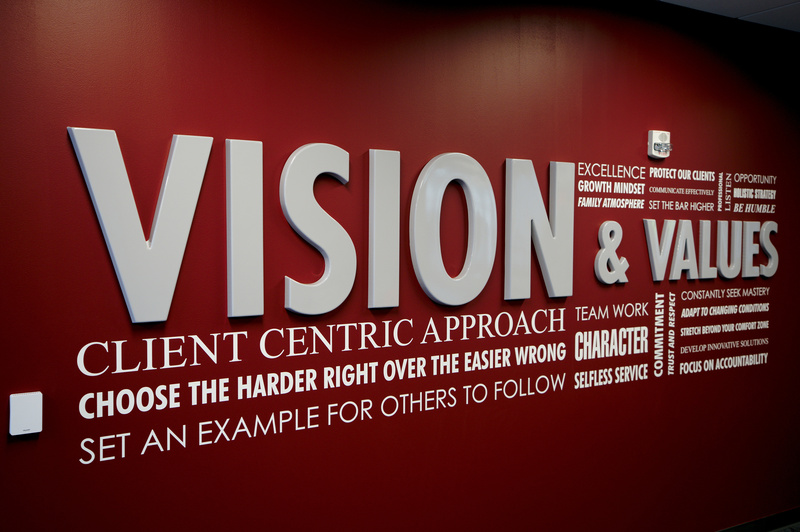 Our Vision is to purposefully build upon our client centric approach through the expansion of accomplished advisors and services offered within The Advisor Network. Our Values are based on our commitment to excellence, character, team work, selfless service and a growth mindset. Excellence is not a destination. When we meet goals and achieve objectives, we continually set the bar higher. We are never satisfied with “good enough”. It compels us to be the best versions of ourselves, personally and professionally. We are what we repeatedly do. Excellence, then, is not an act but a habit. Character is foundational to everything we do. It is the sum of our actions. Our character is why we choose the harder right over the easier wrong. It internalizes all of our values and sets an example for others to follow. It embraces humility and guides our decision making process. At Valor, we are team and a family. We each focus on adding value and pulling our weight, and then some. We earn trust and treat each other with respect. We have a strong bias towards action with a focus on collaborative and professionalism. We accept responsibility for your actions and hold each other accountable. Titles are irrelevant at Valor so we all work hard and work together. Selfess service is what we promise which means always placing the needs of our clients before our own. We practice the art of discipline and follow through. We listen and give of ourselves more than we take from others. Our responsiveness and effective communication is critical to our success. Our ability to adapt to changing conditions positions us for the future. Our growth mindset pushes us to stretch beyond our comfort zone as we pursue continuous improvement in systems, processes, and self. We take prudent risks and develop innovative solutions to common problems. We take initiative and challange conventional thinking. We constantly seek mastery in our respective areas of expertise. Comfort and complacency are the enemies of our progress. At Valor, we never stop learning and growing!